Sound Choices Recording Services of Mobile offers premier location recording services for concerts, festivals, musicals, recitals, cd recordings and more. Since 1997, Sound Choices has been passionate about audio and video recording at local, regional and state levels. Along with location sound recording, the company offers a full range of services to musicians, choirs and groups looking to record their music to produce their own CDs. Sound Choices specializes in digital editing, mixing, audio mastering, cd design and artwork and cd production. The Alabama-based recording company works primarily on location, where they sell both DVDs and CDs, depending on the venue. The mobile studio was using the e-mail feature of Square Register to generate receipts, but it was taking too long to complete each transaction and the long lines were driving customers away. The studio’s management decided to purchase a receipt printer that would allow them to generate a printed receipt at the time of checkout as opposed to only offering e-receipts. But the company’s onsite network is completely wireless, and the mobile studio lacked the infrastructure to connect to WiFi, which would allow them to use a printer with their mobile POS solution. The Sound Choices Recording management team sought assistance from Star Micronics, a leading supplier of small printers, audio components, high-precision machine tools, and precision parts. The Star team recommended its TSP100 futurePRNT printer, which the mobile recording studio could use in conjunction with the WiFi Power Pack. Star’s WiFi Power Pack is designed to make any Star LAN interface printer wireless without a lot of messy cables. Using the WiFi Power Pack, the printer is able to connect with tablets, smart phones and other portable electronic wireless devices. 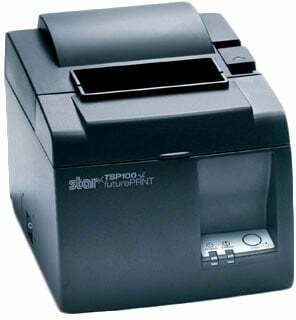 Stars’ TSP100 is the first all-in-one receipt printer. It includes all of the parts and software in one box for a fast, easy setup. It comes with everything users need to start printing receipts right away, from an internal power supply to a roll of paper. The Sound Choices IT personnel needed some technical assistance to configure the router that would get the Power Pack working with the company’s existing wireless mobile network. Star Micronics’ friendly Marketing Solutions Team was able to work with the Sound Choices personnel step-by-step over the phone. Soon after, the Power Pack was live, the receipt printer was working and Sound Choices was able to start producing receipts as soon as they hung up the phone.